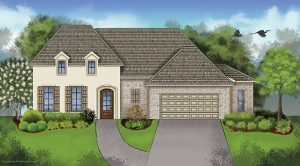 Ron Lee Homes and Hearthstone Homes by Ron Lee are full-service, in-house, new home building and custom home building companies which build homes in the West St. Tammany Parish area. Because of this, when you visit us for a custom home consultation, you will find a one-stop-shop for all of your home building needs. First of all, if you don’t already have a lot on which to build, you can always check out one of Our Lots for sale on which to build your custom home. However, if you do already own your own lot, you can utilize Ron Lee’s experience (over 20 years of it) of designing custom home floorplans, engineered to be built on your lot. Developing a lot to exact specifications, which include following the requirements for setback lines, utility easements, and preparing the lot to be built, is also one of the many services offered by Ron Lee Homes as a custom home builder. We can develop a fully wooded lot, while maintaining its integrity with your selection of trees you don’t want cut down, and clear it, level it, and prep it for the pouring of one of the most solid foundations you will find with any builder in St. Tammany Parish. Floorplan design involves way more than just drawing up a configuration of rooms and roof lines and measuring out the square footage of each room. In order to balance out the design for which you are looking for each of the important rooms of your custom home with the actual realistic construction of the design, floorplans have to be meticulously combed over and thought through to make allowances for utilities, bearing walls, sound proofing, staircases, and so much more. 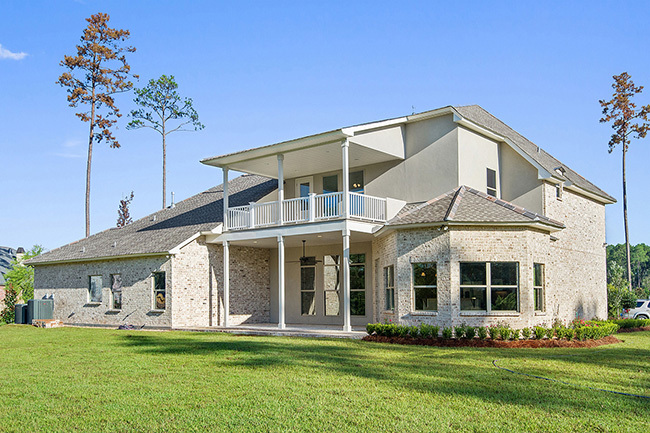 Ron Lee has over 20 years experience not only designing these floorplans, but he also has relationships with all types of vendors who can offer the tried and true products used throughout other homes in St. Tammany Parish, as well as new, exciting products never seen before in this area. Cutting edge technologies in appliances, sound systems, house alarms, smart home technology and so much more have been researched and thoroughly vetted by Ron Lee Homes to be offered to our custom home clients as selections for your new home. When building a custom home, you have so many more choices to make about practically every feature that goes into your new home. With a semi-custom home, you may have your choice of flooring, cabinets, countertops, lighting package, trim package, etc., but with a fully custom home, you can customize every single aspect of the home. This includes but is not limited to insulation, roofing, framing, wall types, millwork, trim work, custom flooring, imported products, specialized appliances and fixtures, and so much more. The sky’s the limit on what you can dream up…as long as it fits in your budget! So, Contact Ron Lee Homes Today to Get Started on Creating a Custom Masterpiece for Your Next New Home in St. Tammany Parish! Call 985-626-7619 or E-mail Info@RonLeeHomes.com.